Many homes have the right stuff- a great color palette, beautiful textures, a plethora of pattern- but fail in a common area: arrangement. Just like a great composition, if a home's arrangement doesn't flow and jive, it literally falls flat. Our homes come preset with opportune areas for displaying objects and accents: from matels to credenzas to dining tables- these flat surfaces beg to be lathered with items that show off your tastes and personality. Here are some tips for displaying objects that will truly bring your arrangements to life. 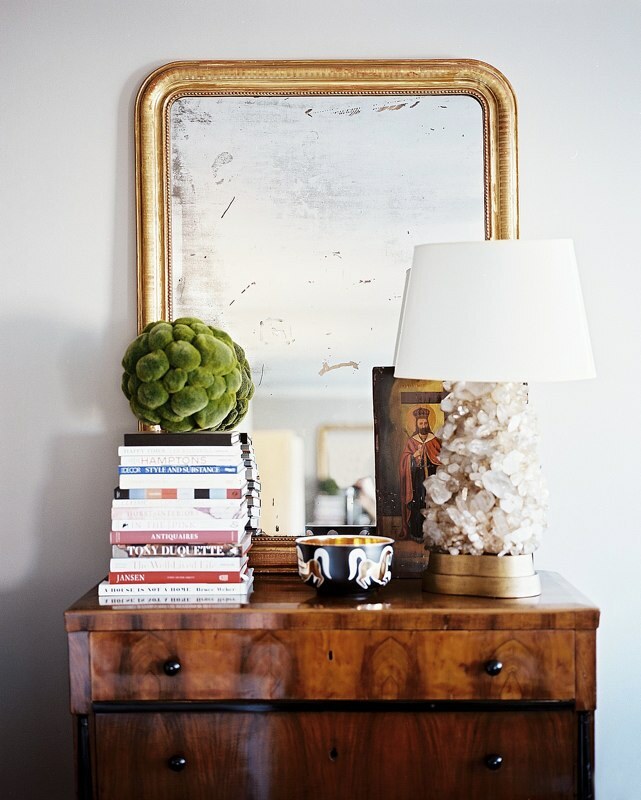 -When displaying collections, try to incorporate one or two elements of symmetry within items. Symmetrical objects can weight the vignette and create the illusion of a more full and complete space. The eye is more pleased to view an odd number of objects than an even number, so use symmetry sparingly. -Displaying books can be challenging, as the varied colors and mismatched spines can create a visual disaster. Edit the books on display by keeping book spines similar in color (keep it limited to one or two colors) and store the extra books in a different location. There is such a thing as too much when it comes to displaying objects. Surrounding items with ample space will make your collection look thought out, and as if it specifically belongs in that location, rather than being crammed in place.